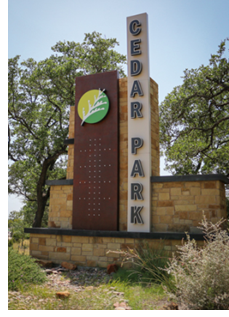 ​​​ CEDAR PARK – Two lots totaling 126 acres have been purchased at "the heart of the booming suburb." Thompson Morris Real Estate LLC has bought the property at 4235 and 4425 East Whitestone Blvd. (RM 1431) and Sam Bass Rd. The developer wants to turn the land into housing, shops and offices or potentially lure a large corporate campus. ​"This parcel is uniquely positioned to benefit from Cedar Park’s growth from regional employers like Apple, Dell and Emerson and potentially attract a significant corporate relocation of its own,” said Todd Madden, president of Thompson Morris Real Estate.